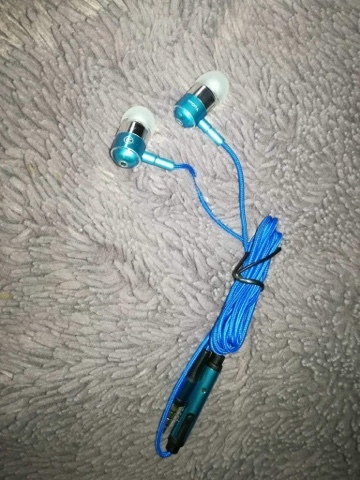 D. High compatibility, the wired earphones can work with all the devices with standard 3.5mm aux jack as apple Devices, Androids Smartphone, Windows Phone, MP3/MP4 Player, Portable Musics Player, Computer, Laptop, Tablet Devices etc. These earbuds are better quality than I expected. For a relatively low price compared to alot of earbuds, they actually perform very well. The sound quality is pretty good, it's clear with no interference or crackling. They are also comfortable to wear. I got these for my teenage daughter and she is very happy with them and has been using the earbuds alot. She has a habit of losing earphones and headphones so I don't like to spend too much money on them. These earbuds are perfect for her as they're of a decent quality, but cheap enough that it's not a disaster if she does lose them. Appearance wise these earbuds look fantastic. They are a vibrant blue colour that looks really stylish and they would be suitable for both males and females of all ages. There is also the added benefit that as they are so bright they should be difficult for my daughter to lose! Overall I am very pleased with these earbuds. Good quality, decent sound and good value for money. Five stars.